Plano Piano Tuner . 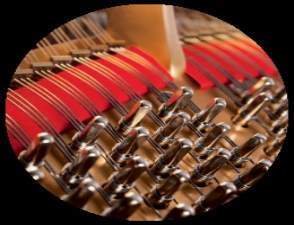 . . aka the Piano Doctor, is the premier DFW piano tuning company in the metroplex. 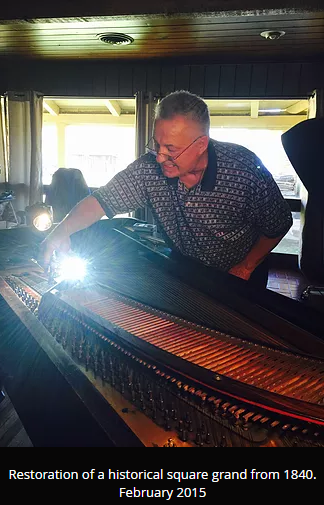 This family owned and operated piano services business was established in 1983 and has offered their customers a full range of service -- from basic piano tuning to piano appraisals, repair, and care information. A piano is a tricky instrument to deal with. A very well built and relatively new piano would normally require little attention other than tuning. (In that respect it is similar to a car.) 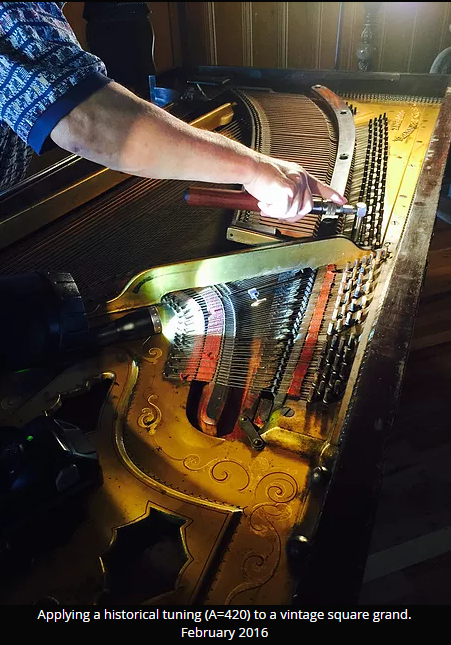 However, an upright piano has over 8,000 moving parts inside and wear and tear will often require part replacement, adjustment or calibration. Keeping constant temperature and humidity levels is the best environment you can provide an instrument, any instrument. Unfortunately, that is no easy task in Texas where we can easily have hydro static readings with a variance of over 80% within a week. Add to that the pressure exerted through playing and you have a very flexible pitch environment. There is a difference for the piano between you rehearsing Skryabin preludes and you playing Twinkle Twinkle Little Star. The best protection you can give your piano is to regularly maintain it. 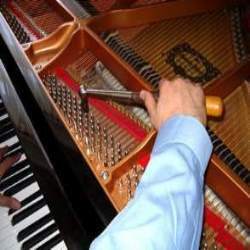 Plano Piano Tuner, aka The Piano Doctor, can tune, service, repair, maintain and restore your piano. If you use your instrument several times a week you should have it tuned 4 times a year. More moderate use would require a tuning every six months. Special attention should be given if you use the instrument in ensemble playing, where a 440Hz is expected. If your piano's pitch deviates too much from the standard ("perfect pitch"), a pitch correction may be needed. 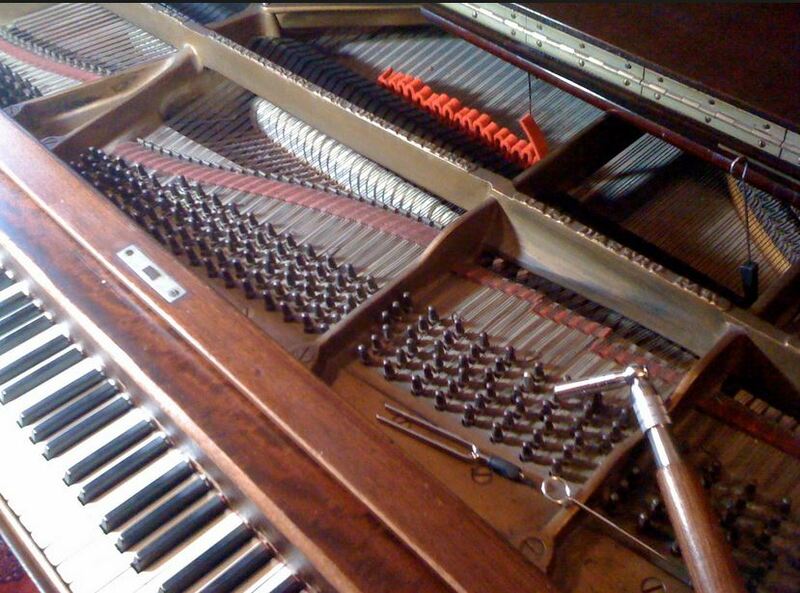 This can be a process over several months depending on the condition of your piano. ​(c) a beginner ("I play because my mom told me I had to learn to play the piano"). 1. The professional is concerned that a poor tuning will cheapen his performance and image. 2. The music enthusiast has his/her progress slowed (like a cook complaining not having the right cooking equipment). 3. The beginner will usually abandon quickly because of the wretched sound. The human body senses, consciously or not, when things are in tune and when they are not. So, be in tune! Many factors go into a great sounding piano -- they can enhance a well tuned instrument. You may need one or more of these complimentary services from time to time. At the very least, the more "piano knowledge" you have, the greater the understanding and enjoyment you will get from your piano. Here are some "factoids" you might want to know . . . The rule of thumb is every six months. Winter and summer, or fall and spring. The more frequently you take care of your instrument, the better it will be and the more stable the tunings are. The frequency of a tuning ultimately is decided by how much you can take by it being out of tune. When the Meyerson Symphony Hall in Dallas is in concert, their piano is tuned every 45 minutes. Arthur Rubinstein had to have his piano tuned every 30 minutes of playing! He just could not stand a single note being out of pitch. If you don't tune it regularly (every 6 months), you should at least consider having it done annually. A sticking key can be one of the most annoying deficiencies of a piano. Where humans have arthritis, pianos have sticking keys. Very often, the problem can be resolved right on the spot, without incurring any extra charges. Sometimes, it may be caused by broken parts. Poor humidity control can also be a culprit since wood swells in high humidity environments, preventing the hammer stem's rotating pin to smoothly operate. Also, lack of playing a certain key invites it into a dormant stage, thus making it sluggish. If the problem is persistent or severe, the action may have to be removed and taken to the shop for repair. It does not necessarily cost a lot, but it is "pain" to deal with . . . for the the player and the technician. Wooden instruments (violins and pianos in particular) are VERY sensitive to hydro-static changes -- that is the inter-relationship between temperature and humidity. More specifically: the interaction between the two. 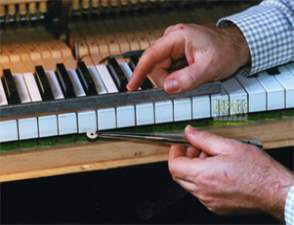 This is critical for the tuning stability of a piano. In Texas we have, inside a home, three separate climate zones, summer and winter and the shoulder seasons. Summer: Fresh air is pulled in from the outside and the inside of your home is subject to roughly the same humidity reading as the outside. If it is very humid outside, that humidity will be mirrored inside. The problem is that you do not have an instrument to remove humidity in your home. Winter: You would usually run a heater on the A/C . The outside humidity may read 50%, but the dry air inside is sucking up the hydrogen particles and the indoor humidity reading may only be 25%. This is a huge problem for any instrument as any pin block would react to it and cause a loosening of the pins. ​Where Should I Place My Piano? Avoid placing your instrument near drafty/open windows or doors. This will significantly impact how your tuning is holding up! If your home's construction is old and you have drafty walls, uneven insulation, keep it away from outside walls. A piano positioned on an outside wall will have the soundboard directly exposed to an intemperate climate average. In newer construction (post 1990), this is not an issue. Fall and Spring: These seasons usually mirror identical patterns of barometric pressure and humidity, and A/C controls are usually off. Your indoor humidity reading should loosely reflect the outdoors. Strings are the soul of a piano. Without them, the piano has no life. Strings can break and replacing can be an ordeal. We always separate between treble and bass strings. When treble strings are broken, they are always broken in pairs. Bass strings are individual strings; but, as such, they have to be custom made upon replacement. The thickness of the copper, the threading of the loop and the making of the hexagonal steel core of the string are critical to replicate the exact sound image of the neighboring strings. Replacing a string may take up to 3 weeks. 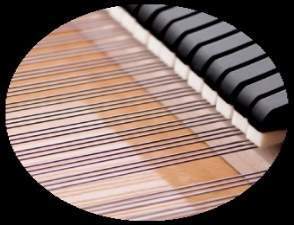 Plano Piano Tuner is proud to provide an exact replica of any string on your piano. As much as you might enjoy practicing to become the next Liberace, your neighbors hate it if you live in an apartment. A comprehensive damper/muting system can be installed inside your piano which will enable you to practice until you keel over! Always respect the sound environment of your neighbors . . . So many times do we see that owners almost assault their instruments after it has been tuned. They want to play the most virulent pieces on the repertoire, aggressive Brahms sonatas, Chopin Etudes, Rachmaninoff concertos etc . . . When a piano has been freshly tuned, play it very softly and gently. After all, train your ear to the sound of a well tempered keyboard. Just a reminder: piano, in Italian, means "soft" or "softly". Treat your piano in such a way and you will have a happy musical partner under your fingertips! When I grew up in the 60's and 70's, my favorite store to shop at was the music store. Our local piano store would have an assortment of music, or they could order in anything, with a usual waiting time of 5-6 weeks, and at an exorbitant cost. Today, and God bless us for having the internet, most music is available free of charge. Simply go to Free-Scores.com and you should be able to print out just about any piece...for solo or ensemble. And, if you need a metronome, there are multiple apps at the Apps Store that provide free ones! Now you should be ready to go! What is The Age Of My Piano? 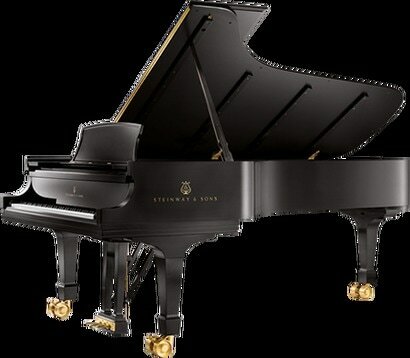 Simply go to www.bluebookofpianos.com, look up the piano make and reference the serial number of your instrument, and voila . 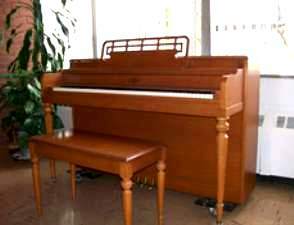 . .
Plano Piano Tuner will assist you in the purchase of a new or used piano if needed. 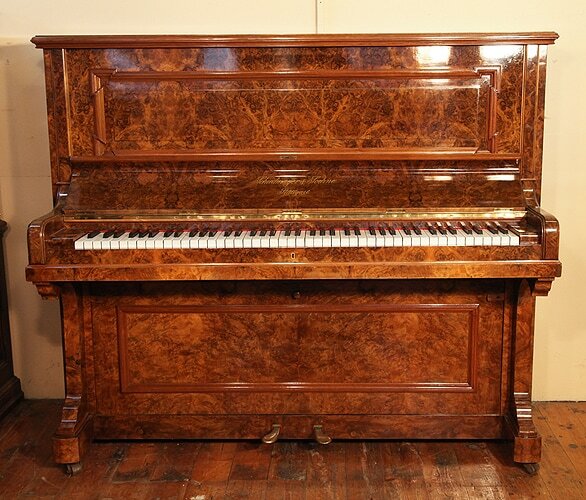 We represent you, the buyer/seller, and can often assist in also providing a guarantee on the condition of a piano being sold. This will usually greatly enhance the sale value and provides added security to the new owner. Acquiring an instrument can often include a sizable investment and it is always judicious to get a second, professional opinion on the quality of the instrument you plan to acquire. 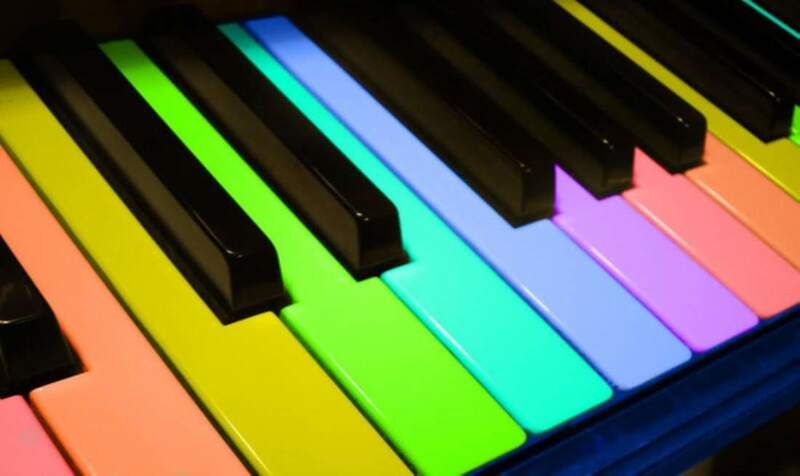 Some Additional Things to Consider . . . .
A used piano can often be preferred to a new piano in that it is a seasoned instrument...the soundboard is 'cured', meaning it has withstood decades of climate changes. Unless one goes very high up in price for a new piano, the sound quality of a used instrument can often surpass a new one. Is string oxidation going to cause problems with tuning? Is the soundboard cracked? ...and, if so, is it cracked in a place where it interferes with standing waves? Is the action properly calibrated? Have the hammer-felts been 'abused' or just been subjected to regular wear and tear, or do they only need revoicing? ​These are just some of the issues that an untrained ear cannot determine. Get a professional opinion and you stand to save yourself hundreds, if not thousands, of dollars down the road. We can help! Whatever your need . . . whatever your concern . . .